You all know I love to read, and participating in the 50 Book Challenge every year is something that makes me happy. I don’t always reach my goal of reading 50 books (in fact I never have, lol), but I’m always amazed at the books I’m exposed to because I’m constantly trying to stay on top of my reading progress and sourcing new books to read. Every year I try to pick a few favourites books out of what I’ve read to share in a giveaway, but this year I’m going to let you pick which book you would like to win. To enter, simply leave a comment on this post telling me which of the books I read this year you would like to win! Entries close on Saturday January 23, 2016 and the winners will be announced on Monday 25, 2015. Please note: This entry is open internationally. There will be two winners, each will win one book of their choice. Here are your book options, and good luck! 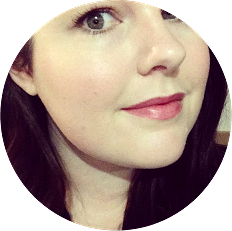 I apologise that it’s taken me so long to get this post up and giveaway drawn, but I’ve been quite recently (and actually ended up in hospital because of it). But without further ado, it’s time to announce the winner! Congratulations to Una Brigden, who was the winner of the PhysioGel prize pack. I will be in touch soon for your details. Thanks to everyone else who took the time to enter the giveaway, and stay tuned for more giveaways on The Belle Lumiere in the future. I’m sure I’m not the only one who’s skin suffers during winter. It’s easy to cover everything up with stockings and long sleeves, and having an extra couple of minutes in bed is often more appealing than standing in a cold bathroom slathering moisturiser on your body. However, sometimes letting your skin do it’s thing during the cold weather is not a great idea. When my skin gets dry, it gets itchy. And it drives me insane. So I’ve really been making more of an effort to moisturise my body this winter, and the Physiogel Daily Moisture Therapy Lotion has been a star in my routine. Clinically tested by dermatologists, the Daily Moisture Therapy range includes two creams and a lotion to nourish and repair dry, sensitive skin. This range also includes a gentle, soap free body wash which is designed to cleanse, soften and hydrate. Physiogel spokesperson Montse Pena said: “According to reports, dry, sensitive skin is a prevalent problem for many in Australia, yet there is reluctance amongst dry, skin sufferers to try new products. We believe this stems from a fear of flair up, and a lack of confidence that the products will deliver results. Physiogel is different. Our creams and lotions with Physiogel BioMimic Technology have the science to deliver visibly healthier skin while being hypoallergenic and free from fragrances, preservatives and colours. Physiogel products have already gained vast support overseas as consumers have discovered an immense faith in the skincare range. We’re now really excited to introduce the new Physiogel range to Australian consumers to address this growing need.” I’ve been leaning more and more towards fuss and fragrance free body lotions, and this one fits the bill. This lotion is exactly what I need, something lightweight but extremely moisturising, is fragrance free (and doesn’t have a weird psuedo-fragrance like some do), and sinks into my skin quickly so I can slap it on before putting on stockings in the morning. 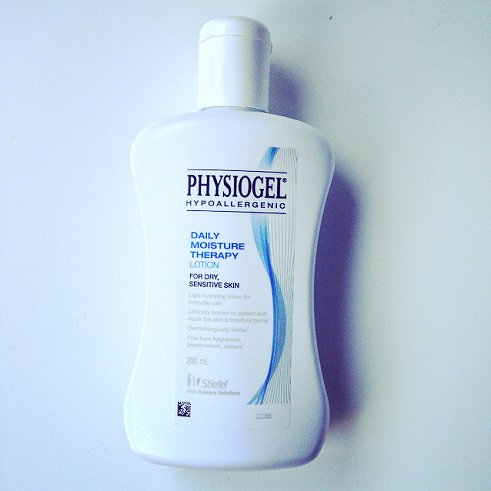 The 200ml PhysioGel Daily Moisture Therapy Lotion retails for $16.99 AUD and is available for purchase from Priceline (please note: this product was provided for consideration for review). I’m pleased to announce that I’ve teamed up with Physiogel to offer a few of their products to one lucky reader. So if you’d like to try the Physiogel Daily Moisture Therapy Lotion along with the Daily Moisture Therapy Cream, Intensive Cream, and Body Wash, simply leave a comment below telling me what you’re most looking forward to this summer. For an additional entry, share the giveaway on your blog or any social media platforms (facebook, twitter, etc) and link to it below. Please be advised this giveaway is open to Australian residents only. Entries close at midnight on Sunday July 26th, and winners will be announced on Monday July 27th. Good luck! Thank you to everyone who took the time to enter our Audible Giveaway last month. I’m happy to announce that the winners are – Hayley (The Husband’s Secret by Liane Moriarty), Jill Walton (Dark Places by Gillian Flynn), Richard Harrison (The Road by Cormac McCarthy), Lily Nguyen (The Secret History by Donna Tartt), and Laura (The Good Girl by Mary Kubica). I will be contacting you all within the next few days regarding your prize. Thanks to Audible for sponsoring this giveaway and again to everyone who entered. Be sure to keep an eye out for upcoming giveaways on The Belle Lumiere in the near future. I don’t know about you guys, but one of my favourite things to do when the cold weather rolls around is snuggle up on the couch with a good book. Unfortunately, the reality of life doesn’t always align with this romanticized idea. There are ways of bringing the comfort of a good book into the dreary reality of life though, and for me this is via audiobooks. During the long. depressing drives (or train rides) to work on rainy winter days, I always pop on an audiobook and let myself get lost in the story. I thought I would share a few of my favourite “cold weather appropriate” books with you all, including one that I plan on getting stuck into when Winter finally arrives this year. The Husband’s Secret by Liane Moriarty – I think if you’re going to spend a length of time listening to someone read a book to you, you’re going to want it to be the kind that really captivates you and draws you into the story. Which is exactly how I felt while reading this book earlier in the year. This was unputdownable for me, and everyone I’ve recommended it to has loved it just as much as I did. The book is set around the time of Easter in Australia, so there some references to Autumn treats (buttered hot cross buns, anyone? ), that transported me to that time of year. Perfect. Dark Places by Gillian Flynn – I’ve mentioned a few times now that this is my favourite of the three books that Gillian Flynn has published so far. It’s dark, mysterious, and the kind of book you could curl up and listen to when the lights go out during a storm. The Road by Cormac McCarthy – This is probably one of the bleakest books I’ve ever read, and the barren landscape of the story aligns perfectly with winter in my mind. I love this book, but I’ve recommended it to people who weren’t a big fan of Cormac McCarthy’s writing style and unfortunately they weren’t that keen on it. Having said that, I feel like this book would translate really well to an audio format, and I’m keen to listen to the audiobook this year to see if I still have the same feelings for it as I did after I first read it years ago. The Secret History by Donna Tartt – For some reason I’ve always associated this book with cold weather. I guess it makes sense, with the majority of the book being set on a college campus in the US with quite a lot of mentions of snow. This is one of the best books I’ve ever read, and I’m planning on re-reading this (in audiobook format) this year. The Good Girl by Mary Kubica – This is the front runner on my list of books to read this Winter. “I’ve been following her for the past few days. I know where she buys her groceries, where she has her dry cleaning done, where she works. I don’t know the color of her eyes or what they look like when she’s scared. But I will.” If that doesn’t intrigue you, I don’t know what will. I’ve teamed up with Audible Australia, and will be giving away one of each of the titles mentioned in this post. To enter, simply leave a comment below telling me which of these five books you want to read this Autumn/Winter season. Please note, this giveaway is open to Australian residents only. Entries close at midnight on Sunday April 12th, and winners will be announced on Monday April 13th. Good luck!